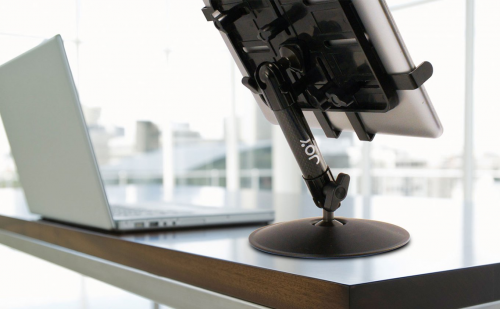 Embrace the ergonomic convenience that is the Unite Universal Desk stand. 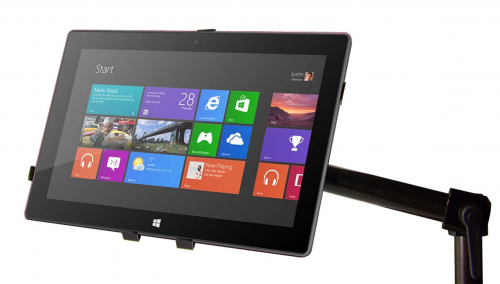 Get more work done, enjoy more videos, and interact with more apps, all at a posture-friendly angle. Your neck and back will thank you. With the Unite Desk Stand you have complete power to adjust the stand to your perfect angle--it even folds up completely for easy transport. Compatible with all 7"-12" tablets. Unite™ mounts are built of high-quality carbon fiber arms. This advanced material is surprisingly lightweight yet incredibly strong. The powerful combination of carbon fiber with carefully designed joints produces mounts that are both easy to maneuver and sturdy to use. 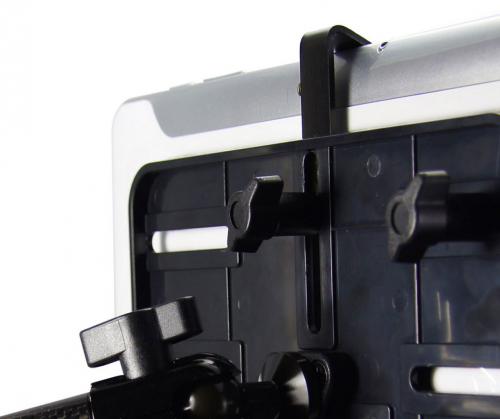 Unite™ mounts come equipped with spherical joints for ultimate customizability. 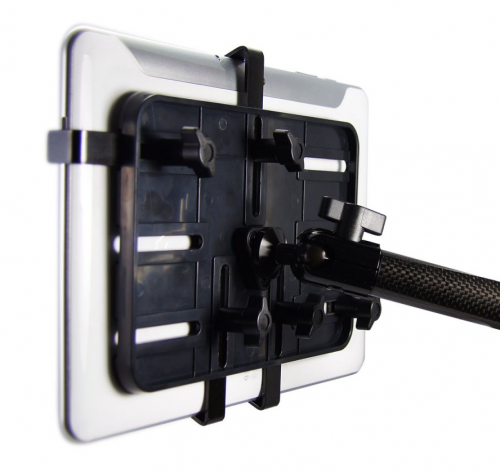 The included Unite™ iPad holder can be swiveled 360° to easily transition from portrait to landscape mode without removing it from the mount. And the sturdy carbon fiber arms can also be adjusted into infinite configurations providing you with the perfect angle every time. 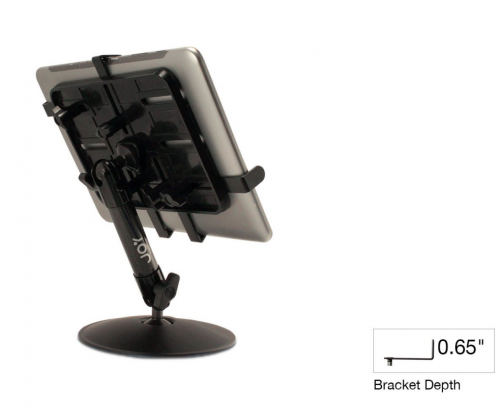 The Unite mount attaches to the widest variety of tablets between 7”-12”. Just slide in your tablet and turn the knobs on the back for sturdy connection every time.